Phoenix Gold Phorum • View topic - Wife's new rig!! Post subject: Wife's new rig!! 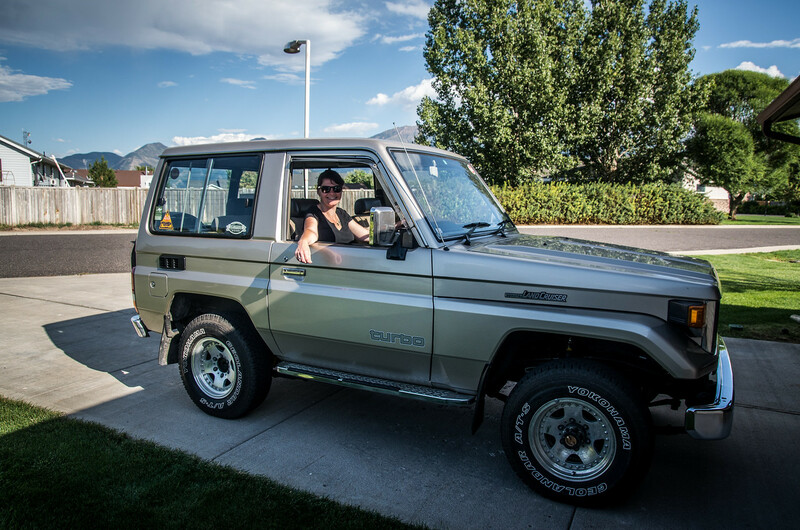 So, some of you may remember my crazy rant about selling the FJ and buying an older Land Cruiser imported from Japan. Well, turns out I'm not the only crazy one in the family!! The wife and I attended an event called CruiserFest a couple of Saturday's ago and the importer I have been working with was there with a few vehicles. First we drove a HJ61 5 speed like I am looking to purchase. Despite being a right hand drive and a 5 speed manual it was fairly easy to drive! When we got back I was drooling over the 70's series that were never sold here in the USA. I have known about the 70's series for a long time (before I could drive) and always wanted one. The importer told us to take one for a drive and see what we thought. The wife instantly stated how she hated how they looked and they are such a waste because they are too small because we can't sleep in the back. After driving it for a few miles I made the wife jump in the drivers seat. Her tone instantly changed! We drove it around for about an hour and she was hooked. By the end of the day she made the guy an offer and he took it! After a few changes to the rig at the local Cruiser shop she received it Monday. She has not stopped smiling since! 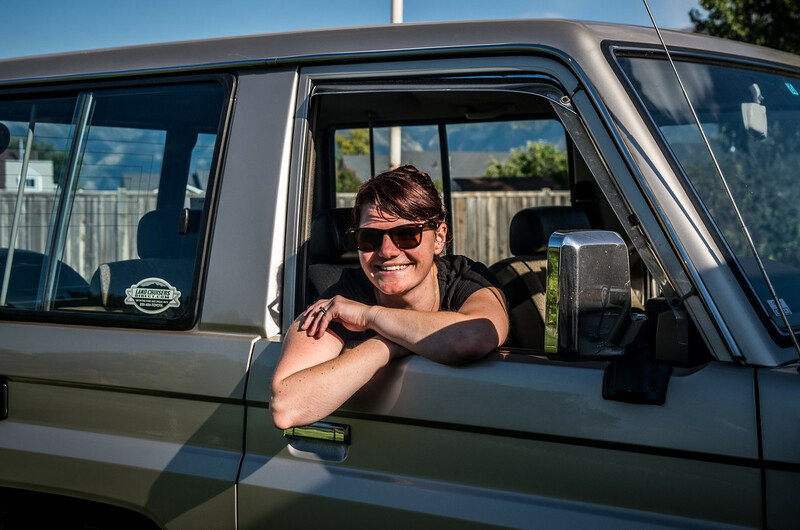 Here she is in her new rig, a 1988 Toyota Land Cruiser BJ71 with a 3.4L turbo 4 cylinder diesel. Post subject: Re: Wife's new rig!! I don't think they sold that powertrain here did they? In fact I don't remember that model being sold here. Are the old Toyota diesels as bulletproof as their petrol counterparts? Hey raybuck r u in va? About the no place to sleep doesn't someone make a tent thingy that connects to the back of the truck? Yeah, but she doesn't want to try it. That's OK, the HJ61 I am looking at purchasing will be in late October/early November! Any of you ever seen the Bolivian Top Gear episode from a few years ago. I hear you I would rather sleep in the truck than a tent if I could...you guys are going to have 2 great trucks. First we had to remove the old converter. I'm not sure of the quality of the unit, but it was only rated for 7 amps and was tapped into the lighter for the 24 volt feed. The new converter is rated at 30 amps and should be able to handle more than this little guy. I didn't like using the lighter as a feed for the 24 volt side of the converter because A) I feel like going straight to the battery is a better connection and B) The lighter turns off with the ignition. Because of this I ran two leads for the new converter straight to the batteries for the 24 volt feed. After that we had to "fashion" new brackets for the new converter. I think it worked out rather well. So on to the stereo install. Losing the memory every time the key turns off did not really sit well with me. With the wife using the bluetooth for her phone I really wanted to keep the memory. So, my solution was to somehow use the ignition wire to the headunit and use the constant at the same time. Because the ignition wire in the steering column is 24 volt I knew I couldn't use that. 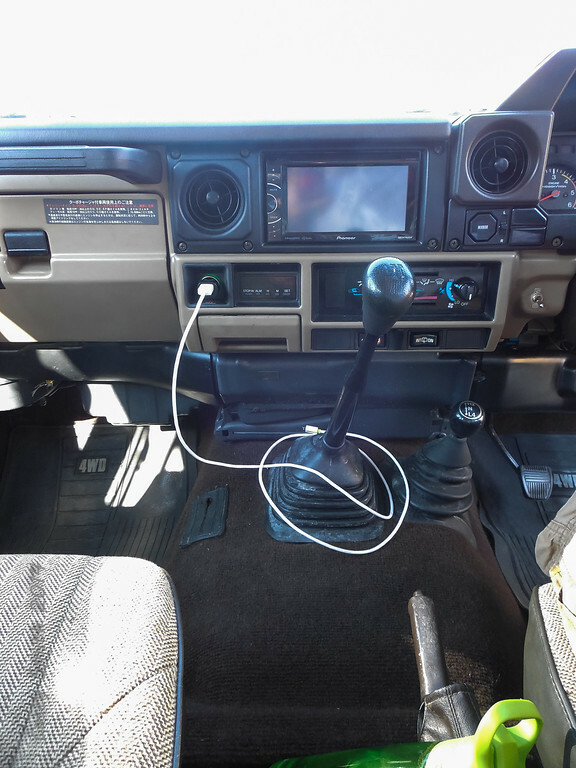 Everything else in the rig that is switched off of the ignition is also 24 volt so I couldn't use it either. I had already planned to install a fuse block coming off of the 12 volt side of the converter and last night the solution hit me! 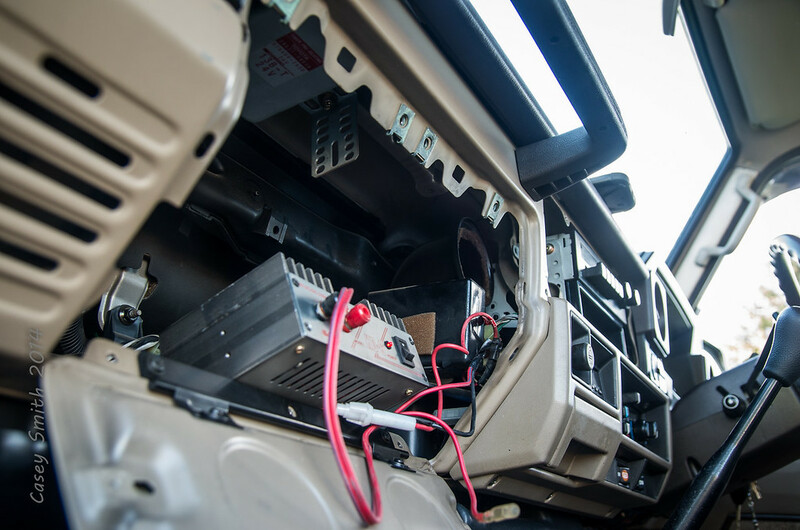 I could run two wires off of the inverter 12 volt side, one to the constant on the headunit and one to the fuse block! 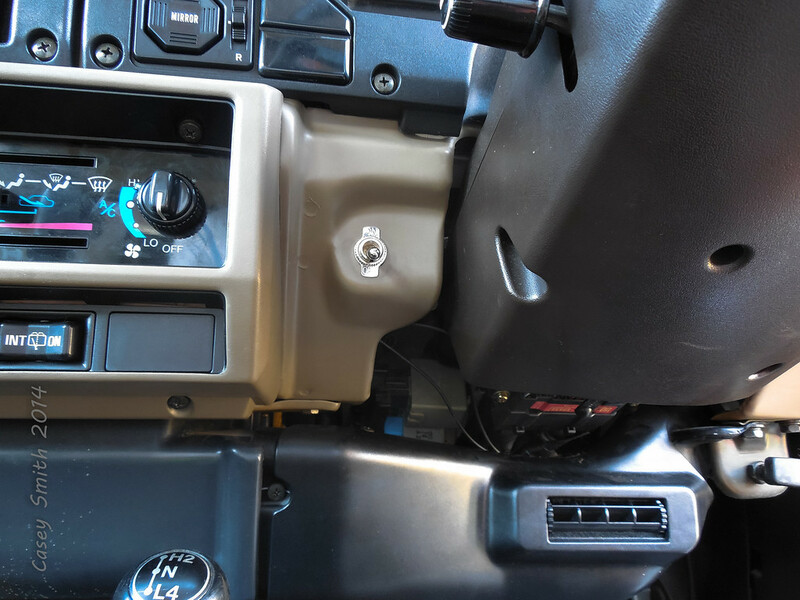 I installed a toggle switch between the converter and the fuse block to act as an ignition switch until I can figure out something different to use. So far it seems to be working great, if the wife and I can just remember to flip the toggle switch when we get out if the rig. 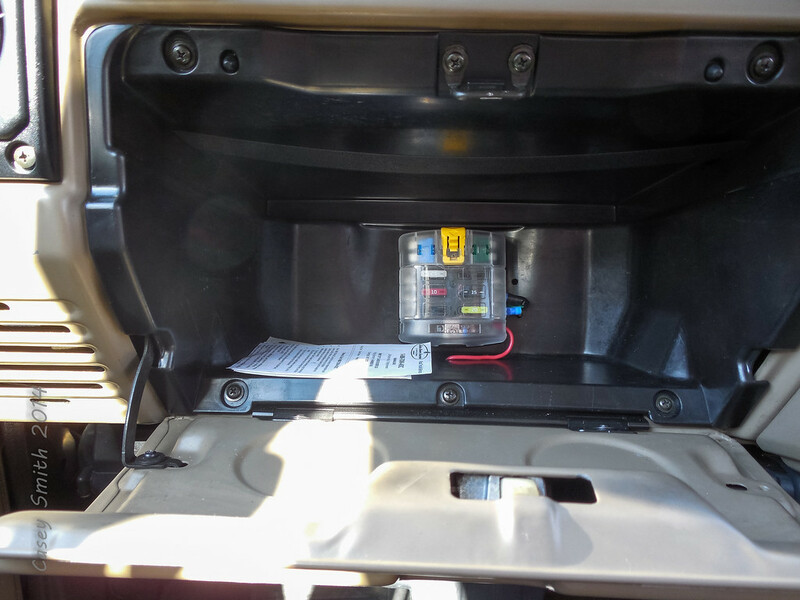 I could not find a better spot to mount the fuse block so into the glove box it went. With the toggle switch installed everything we hook to the fuse block will be switched to turn off when the switch is flipped. I also switched the lighter to 12 volt while I was there so we can use it to charge the cell phones and the such. I might add another in the future if needed. So, there it is, a converter, fuse block, and stereo installed in just under 10 hours! Lol Thoughts, comments, concerns, or questions are all welcome! I have a fix for your problem I am not a fan of toggle switches or the radio being left on and having a dead battery so what you need is a Bosch 24 volt relay and wire 24v from your ignition to 86 on the relay ground 85 12v from the fuse box that you put in to 30 on the relay and 87 goes out to your head unit and bam no more switch. Turns out this is exactly what I did! 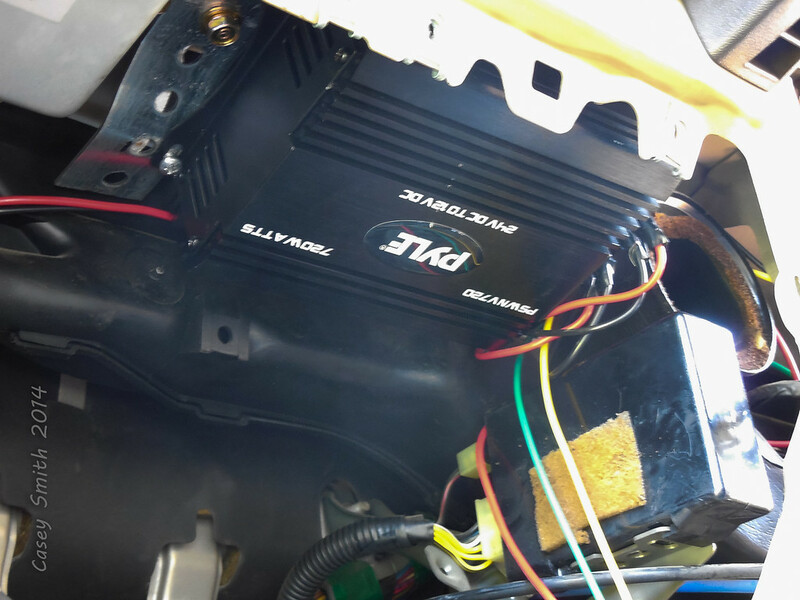 I installed the relay, cleaned up the wiring a bit, and hard wired a radar detector in for the wife last week. 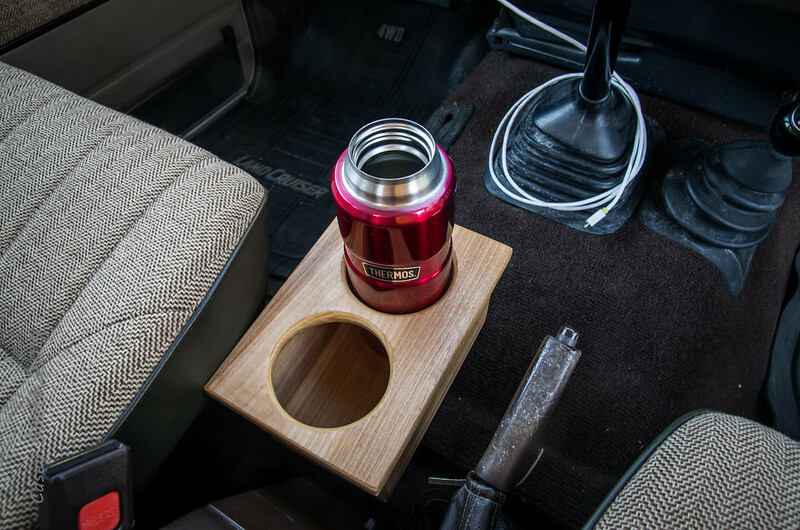 Today I was researching a better center console with cup holders when my old man showed up with a present for the wife, CUP HOLDERS!!! Lol He had some leftover birch plywood from a different project and wanted to do something nice for the wife's new rig. 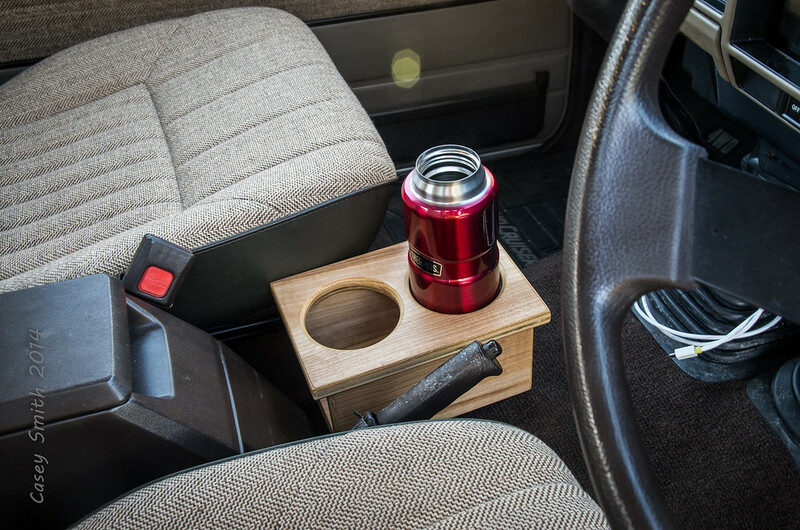 He knows that she likes her coffee and was missing some cup holders so he decided to build some for her! I think it turned out nicely and the wife loves them. As of now I just have them set in place with some velcro strip. If it needs more I will deal with it later.